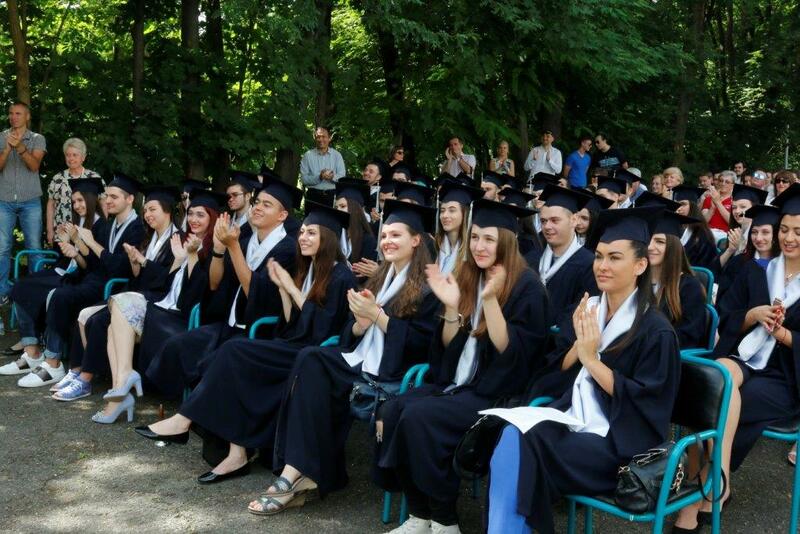 In 2017, 57 students graduated from the International Baccalaureate Diploma Programme at Zlatarski International School and the numerous excellent results can already be seen: we have 89 excellent marks! 46 of them received excellent marks in the international English B exam and 3 students achieved 40+ points in their diplomas. IB diplomas with 40+ points are achieved by only 8% of students worldwide. 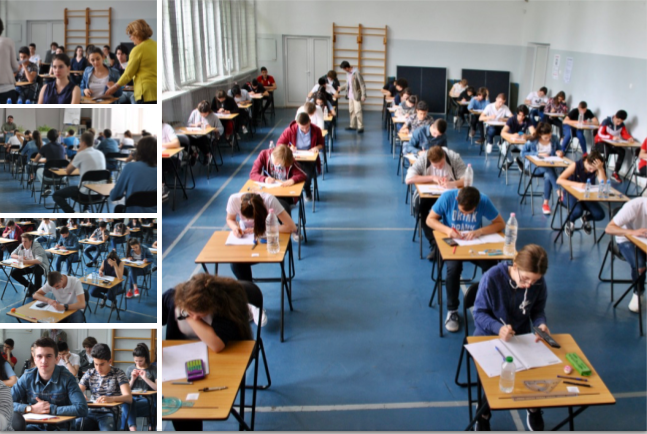 These are the highest results in the international IB exams in Bulgaria which rank Zlatarski among the best international schools in the world. The thorough 5-year preparation of all our students has proved successful and they defended brilliantly their knowledge in Literature, English, German, Spanish, History, Economics, Mathematics, Biology, Physics and Chemistry. 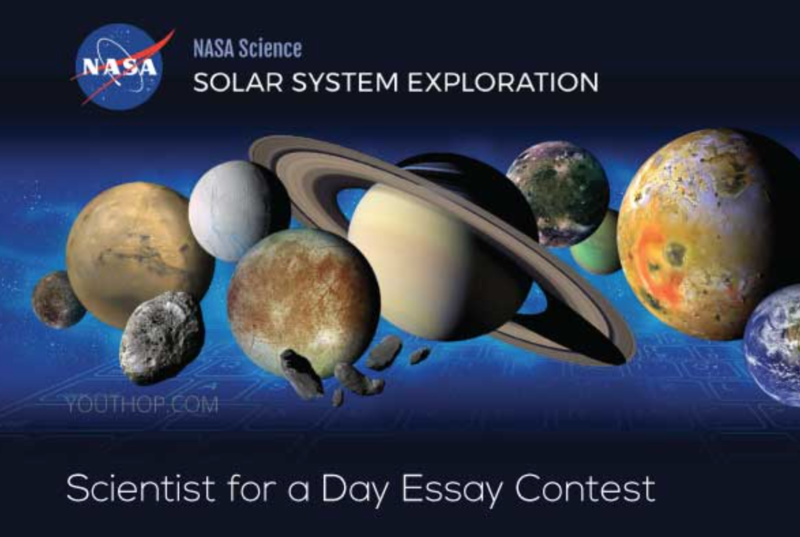 We are proud of the Extended Essay results as well – 70% of the projects have earned the highest possible marks. Gergana Negovanska has been named Valedictorian of Class of 2017 (with her 41 points), followed by Stefan Hristov (40 points), Antoaneta Atanasova (40 points), Viktoria Zaharieva (39 points), Michelle Serova (37 points), Hristo Shotev (36 points) and Jaklin Peycheva (36 points). Congratulations! Top International Baccalaureate results of the students of Class of 2017: We are proud with the results in the English exam, where 82% of the students have received excellent scores. The highest results were achieved by Antoaneta Atanasova, Luca Lozovic, Gergana Negovanska, Asen Olovanov, Petar Petrov, Jaklin Peycheva, Michelle Serova, Hristo Shotev, Veselia Tsolova, Viktoria Zaharieva, Elitsa Chausheva, Stefan Hristov, Elitsa Zafirova and Georgi Karaivanov. The students who performed best on the Bulgarian exam were Antoaneta Atanasova, Kalina Hristova and Stefan Hristov. The highest results in Mathematics were achieved by Gergana Negovanska, Viktoria Zaharieva and Antoaneta Atanasova. The top Biology results belong to Viktoria Zaharieva, Stefan Hristov and Antoaneta Atanasova. In Physics it was Gergana Negovanska and in Chemistry – Stefan Hristov. The students who have done best on their History exam are Stefan Hristov, Michelle Serova, Gergana Negovanska, Jaklin Peycheva and Hristo Shotev. In Spanish, the highest marks were given to Ilana Stambolieva, Ruslan Stanchev, Antoaneta Atanasova and Hristo Shotev, and in German – to Gergana Negovanska, Viktoria Zaharieva and Elitsa Chausheva. Gergana Negovanska, Valedictorian of Class of 2017, has chosen to study Architecture at the University of Edinburgh. She graduated from Zlatarski International School with 2 excellent diplomas – a Bulgarian on with a result 5,99 out of 6 and an International Baccalaureate Diploma with 41 points. The University of Edinburgh wanted an IB Diploma with a result over 40 points. Gergana has achieved the maximum marks 7 and 6 in Physics, Mathematics, History, Bulgarian, English and German, and an excellent mark A on her Extended Essay. With her 41 points and marks 7 in IB Physics and 6 in IB Mathematics HL, she surpassed the requirements of the university. Gergana has also achieved a total score 5,99 in her Bulgarian Diploma for Secondary Education with 5,95 in the matriculation exam in Bulgarian and a 6 in the exam in English. Excellent bilingual IB diplomas with 40 points were received by Stefan Hristov and Antoaneta Atanasova, as well. Stefan has chosen to study Biotechnology at the highly selective University College London, after he was accepted in Durham University, University of York and Cardiff University. UCL required an IB Diploma with more than 38 point, as well as 6 in both Chemistry and Biology. Stefan achieved excellent results in IB Chemistry HL and IB Biology HL, and with his 40 points, he surpassed the university’s requirements. Antoaneta Atanasova achieved a total score of 5,98 in her Bulgarian Diploma for Secondary Education with a 5,85 on the Bulgarian matriculation exam and a 6,00 on the English exam. She managed to obtain a bilingual IB Diploma with 40 points, with excellent marks in IB Mathematics and IB Biology and maximum results in three languages – Bulgarian, English and Spanish. This year, our students’ highest results are in English with 46 of them receiving excellent marks in the IB exams – 14 students have achieved the maximum result 7, and 32 have received a 6. A score above 5 in IB English is accepted by universities as a successfully completed IELTS or TOEFL. Viktoria Zaharieva has obtained a bilingual IB Diploma with 39 points with excellent results in IB Mathematics, IB Biology and the three languages – Bulgarian, English and German, along with a grade A on her Extended Essay in English. She has achieved a total score of 5,88 in her Bulgarian Diploma for Secondary Education with 5,60 in the matriculation exam in Bulgarian, and a 6,00 in the exam in English. 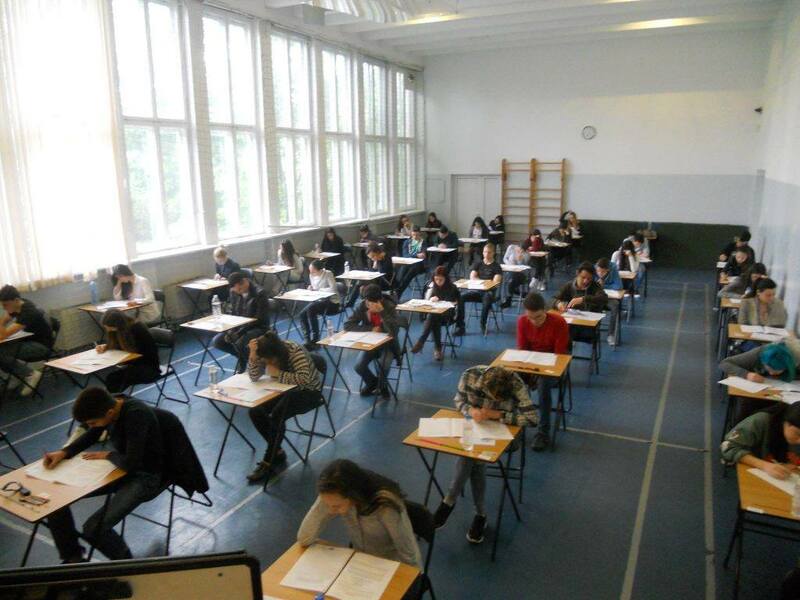 “This has been yet another year in which the IB results at Zlatarski School are comparable to the results of the best international schools around the world. We teach our students within the first-class international educational programmes IGCSE and the International Baccalaureate, and this makes preparing for the top English-speaking universities of the world possible here, in Bulgaria.”, shares Mrs. Kardasheva, Head of Zlatarski International School. With her enviable 37 points in her IB diploma, Michelle Serova has chosen to study English and International Law at the prestigious Queen Mary University of London, after being admitted to study Law at King’s College London and the University of Kent. Queen Mary required above 37 points or a Bulgarian diploma with more than 5,90 and a 5,90 on the matriculation exam in English. Michelle achieved 37 points in the IB Diploma, 5,90 in her Bulgarian diploma and a 6,00 on the English matriculation exam. Thus, she surpassed the requirements of the university. Hristo Shotev and Jaklin Peycheva will continue their education in the Netherlands. Hristo will be studying Global Law at Tilburg University. 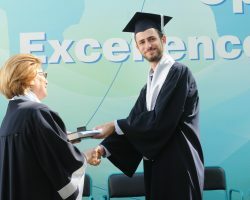 He received a Bulgarian diploma with an excellent result of 5,96 and a 6,00 in the English exam, as well as an IB Diploma with 36 points with excellent results in IB History HL and three languages – Bulgarian, English and Spanish. Congratulations to Class of 2017 and their parents for the astounding IB results which are among the best in the school’s history! Jaklin Peycheva has chosen to study Media at Breda University. Apart from her bilingual IB Diploma with 36 points, she received an excellent result of 5,91 in her Bulgarian diploma. “… Remember the good moments we’ve had together and know that we will meet again soon”, wished Jaklin to her classmates during her speech at the Graduation Ceremony of Class of 2017. “A special thanks to the whole team of the school, to the teachers who have been by my son’s side through all these years and will always remain a part of his journey and a part of his success. Thank you for the thorough preparation, for the great organisation and for all that you have done for my son in the past five years”, shares Mrs. Hristova, parent. What are the requirements of the universities: We congratulate all the students who have achieved a 6 or 7 (out of 7) in the international IB exams as such success is highly appreciated by the top universities around the world since it guarantees the skills of the students to be successful according international criteria. Universities like Oxford, Cambridge, London School of Economics, Harvard and Stanford require a result of 38 – 40 point in the IB Diploma. Universities like Warwick, University College London, King’s College, Queen Mary, City and Durham usually require a result above 36 points. Depending on the degree of choice, universities such as Essex, Sussex, Exeter, Sheffield, Manchester, Nottingham, Westminster, Brunel and Kent require an IB Diploma with a result between 30 and 35 points.